With each Jewish holiday, we revisit familiar stories, many of which we grew up with since our youth: Queen Esther on Purim, Moses on Passover, Judah and the Maccabees on Chanukah. And every year, we are challenged to find new meaning within the stories, in order to keep them fresh and alive for the next generation. So how can we, as parents, aunts, uncles, and friends bring to life these stories of old to our kids of today? The story of Chanukah is filled with action and adventure, suspense, hope, sadness, and joy – all the makings of a powerful and engaging story of strength, courage, and dedication. It readily lends itself to keep any kid on the edge of his or her seat! Help your kids make connections with the story by asking open-ended questions like: When do you feel determined like the Maccabees? How is our chanukiyah similar to the menorah the Maccabees used? 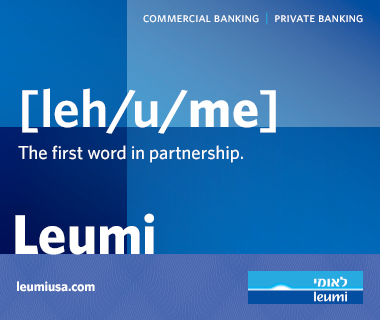 How is it different? 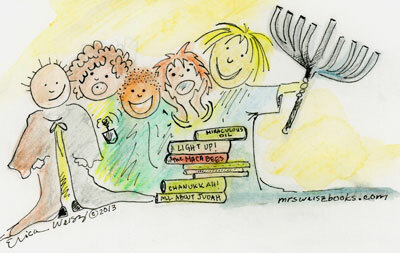 Rewrite and illustrate the story from the perspective of the menorah. How did the menorah feel when it was first lit with the small amount of oil? What did it think would happen? How did it feel as each day progressed? Looking at the story from a new angle will help your kids discover a piece of the story they never noticed before. Start by taking a room and making a mess of it, then use your imagination. As a family, act out what it would be like, in modern times, coming home to a disaster! How would you feel seeing your favorite toy crushed, all of your clothing in mud, or broken pictures everywhere? Imagine a glimmer of hope, a small miracle. What would your miracle look like? How would you feel closer to G-d through your small miracle? 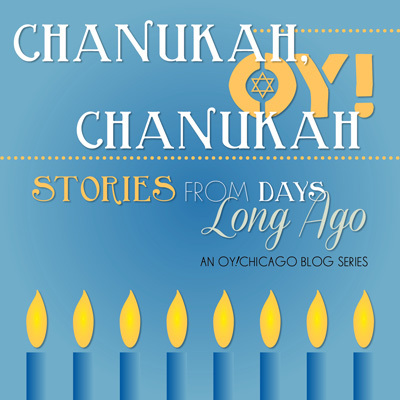 Make your Chanukah this year unique and memorable for the kids in your life by retelling and reliving the story of Chanukah together.